April 26-28, 2019, 8th Annual! Click on the map to go to Chula Vista’s detailed direction page! Call Patrick Henry about bringing your group from other areas to enjoy this fantastic weekend! 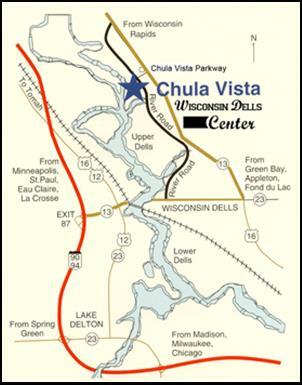 If you don’t want to drive, consider convenient AMTRAK service to downtown Wisconsin Dells! FREE shuttle to the Resort! Convenient schedules! Call Patrick at 773-889-6811 for more information.